Room blocks have been secured at the following area hotels for Sept. 21-23. Mention "Duquesne University President Inauguration" when booking. 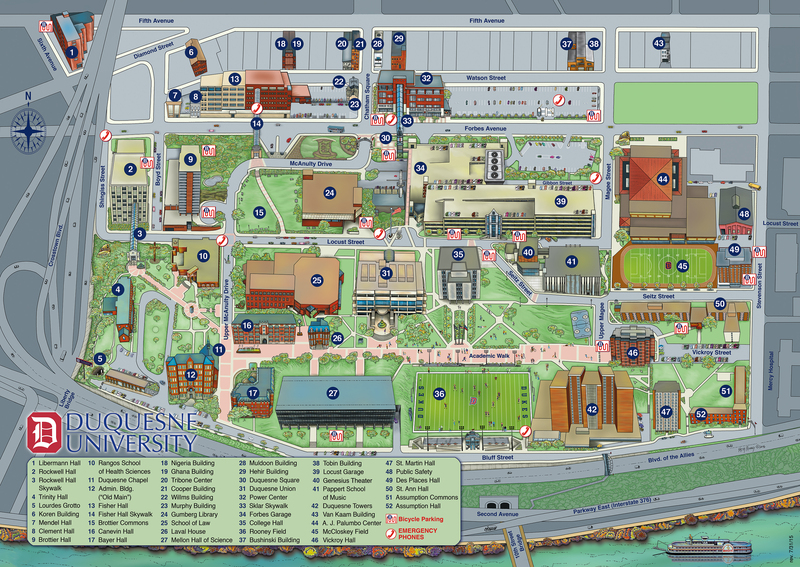 Several other hotels are within walking distance or a short drive from Duquesne's campus. Hotels with an asterisk offer preferred rates for Duquesne visitors. On-campus parking, including in the Forbes Avenue Garage, will be available to all guests without charge on a first-come, first-served basis. Duquesne University police officers will be available throughout campus to provide directions.